Consumers with less than average credit, or poor credit, have difficulty acquiring the necessities that lead to comfortable living. Obtaining an excellent credit score can be extremely difficult, especially if consumers with poor credit don't know what they're doing wrong. 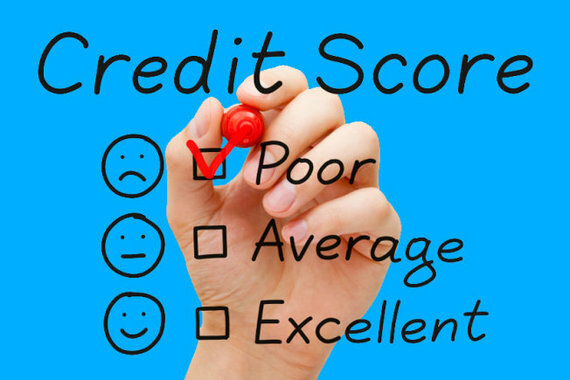 Another blog post, 6 Habits of Consumers with Excellent Credit Scores, analyzed what consumers are doing to maintain excellent credit. Here we provide a list of bad habits consumers with poor credit subject themselves to that's hindering their efforts to improve their credit score. Paying Late One critical factor, and perhaps the most important in determining your credit score, is your payment history. Late payments and missing payments altogether can have a serious negative effect on your credit score. The FICO credit score, which is the most commonly used tool by lenders, assesses how much of a risk you are as a potential borrower. If you regularly fail to make payments on-time, it can have a detrimental effect on your credit score; lowering it substantially. Making late payments and being a risky borrower can hinder consumers from being approved for various lines of credit, such as an auto loan, mortgage loan, personal loan, or credit cards. It's extremely important to make payments on-time. Missing even one payment can spiral out of control quickly, as late fees and interest charges accumulate. Defaulting or having delinquent payments (30 days or more past due) on your credit report can take up to seven years to remove. Added Tip: To avoid missing a payment, or making a late payment, set up automatic bill pay through the bank or lender. Maxing out your credit cards should never happen. Using credit to pay for things you cannot afford is a seriously bad habit when trying to improve a credit score. This shows lenders that you are experiencing financial difficulty already, and any applications will likely be declined. This will also negatively affect your credit utilization ratio. Consumers with poor credit typically use more than 30 percent of their available credit. When you max out your credit cards, the utilization teeters near 100 percent, which will have a negative impact on your credit score. Added Tip: Avoid the minimum payment cycle. Try to pay off your balance each month, or at the very least, strive to pay more than the minimum payment until the debt is fully repaid. A common mistake is applying for multiple lines of credit or credit cards. Each time you apply for a line of credit, a hard inquiry will be reflected in your credit report. A hard credit inquiry is a negative mark against your credit, and remains on your credit report for up to two years. Credit inquiries don't have a heavy impact on credit scores, but applying for multiple credit cards or loans can signal to lenders that you are having financial trouble. Before you apply for a new line of credit, do some research to increase your likelihood of getting approved. Added Tip: Only open up new lines of credit when absolutely necessary and only do so every 6-12 months or more. If you're rate shopping, apply for different loans within 5 days of each other, so it will only count on your credit as one hard inquiry instead of dozens. It may seem hard to believe, but having no credit history may actually be worse than having a bad credit history. A key point to remember is that it's impossible to improve a credit score without using credit. It may seem like a lose-lose situation because it's impossible to build credit if nobody will lend to you. But, there are credit cards available for every credit score type. Using credit responsibly is crucial to establishing a good credit history. In America, 35 percent of consumers have overdue, unpaid debt. Letting your bills go into default is probably the worst thing a consumer could do to hurt their credit score. The best way to improve your credit score is to take back control of your financial situation. Don't ignore your debt; face it head on. Conquer this problem by paying off as much as of your debt as you can every month. It's never too late to try to improve your current financial state or your credit score. Keep in mind that although negative marks can stay on your credit report for seven years, recent negative marks have a heavier impact than older ones. So don't give up!